Can you believe we are a quarter through twenty12 already? This weeks Journey Forward was to look back at the progress we have made towards our one word & goals. Complete 4 or more blog designs per month. Holla! I'm not quite up to four every month, but my average is right around four. Blog design can be tricky in that some projects take longer than others & carry over from month to month. Nevertheless, I'm quite proud of myself & these 15 designs! Find an online teaching job at a college or university. Make dates with my husband to have fun together at least twice a month. At the beginning of the semester Chris and I were going out together almost every Saturday night. 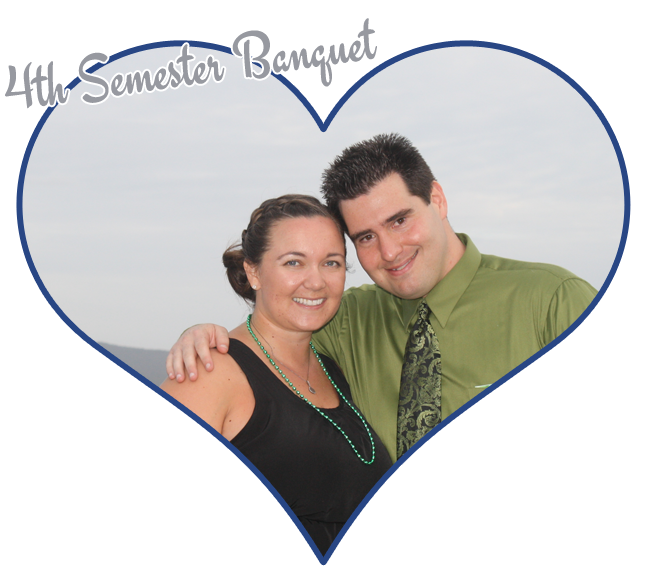 In March we had fun at his 4th Semester Banquet. But as the semester has started closing in (tests!) he just hasn't had the time for it. Hopefully in 5th semester there will be more time for these sorts of things without the stress of so many exams. Yes! I'm at 4 books: Love Wins, Outlander, Sing You Home, Fifty Shades of Grey. Reading is one of my favorite things to do, so I think I will always find time for it. It helps me to relax. Seriously, I feel like I'm working on this daily. Starting my own little design company has been a lot of hard work and a lot of long hours. That little list of 15 blogs up there represents my heart and soul for the past 4 months. I feel like the Journey Forward challenge has helped me stay accountable during this time. Knowing that I have to write a post every week about how I am doing with relaxing has really helped me to stay in check. I get so easily lost in my computer & design; two hours can feel like twenty minutes for me. Living with a relaxed attitude is a work in progress for me. What about you? Do you want to join in on the Journey Forward challenge? It's not too late!